Overview: Jawa is Indonesian for Java, the world's most populated island and one of the most densely populated places on the earth. Jawa is home to 60% of Indonesia's population. 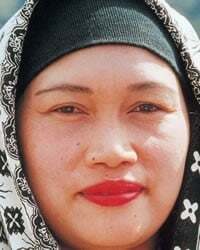 The people groups the make up the Jawa people cluster are overwhelmingly Islamic and predominantly speak a common Javanese language.